YogaFit Partners up with Medical Fitness Network! YogaFit is proud to announce our partnership with the Medical Fitness Network in 2015. This network reaches clients with severe medical conditions who are be looking for Yoga Professionals to help in their day to day management of their condition. YogaFit is the exclusive Therapeutic Yoga Program Partner of the Medical Fitness Network. YogaFit is excited to build relationships where all succeed by contributing to the greater good. We believe that Therapeutic yoga can positively impact those affected with serious ailments. 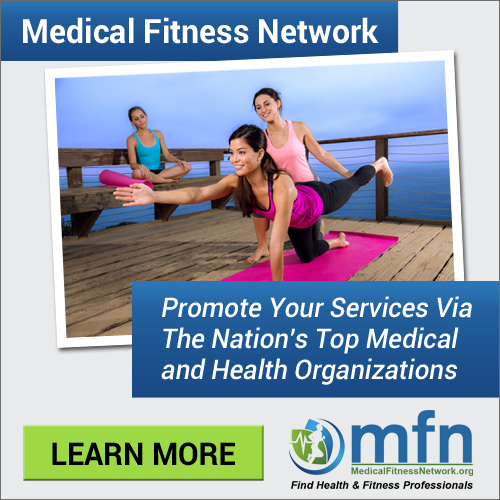 The Medical Fitness Network (MFN) is a volunteer driven organization, providing a free, national fitness and healthcare referral service to those with (chronic) medical conditions, pre & postnatal care (and everyone else! ), including those who suffer from: Alzheimer’s, Arthritis, Cancer, Diabetes, Fibromyalgia, Heart Disease, Mental Disorders, Multiple Sclerosis, Parkinson's, Respiratory Disease, and Stroke. MFN members include acupuncturists, chiropractors, dietitians, fitness, health & wellness coaches, massage therapists, physical therapists, psychologists and now – YOGAFIT professionals, creating a truly unprecedented multidisciplinary network. We encourage referrals among the network as well as job postings. MFN offers members discounted products, services, and continuing education courses. National Continued Education & Events Calendar is being launched with over 50 companies posting discounted workshops and events. 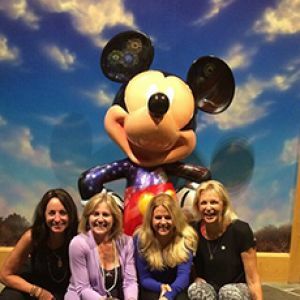 Do you or your studio offer services in active aging, wellness, prevention, treatment or rehabilitation of chronic disease, medical conditions, post rehab, helping those with disabilities, or pre & postpartum care? Receive a FULL PAGE PROFILE on this platform. Increase your online exposure and credibility by joining the fastest growing national network of fitness, yoga, and health professionals. Click on the image above to learn more and SAVE $$$!